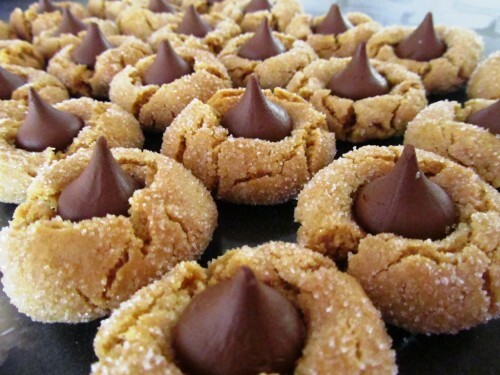 Easy Peanut Butter Cookie Recipe – Hershey Kiss Peanut Butter Blossoms – Hershey Kisses Peanut Butter Blossoms | Cook Eat Delicious! Serve with a tall glass of milk! 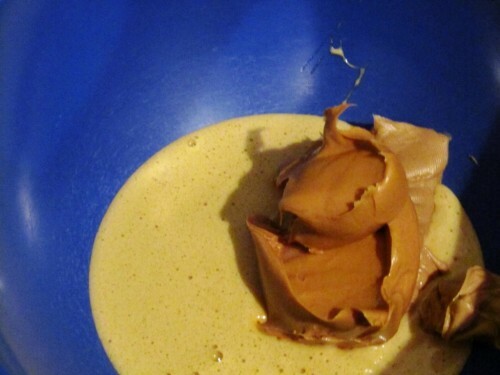 In a large bowl combine eggs, brown sugar, vanilla, and peanut butter. 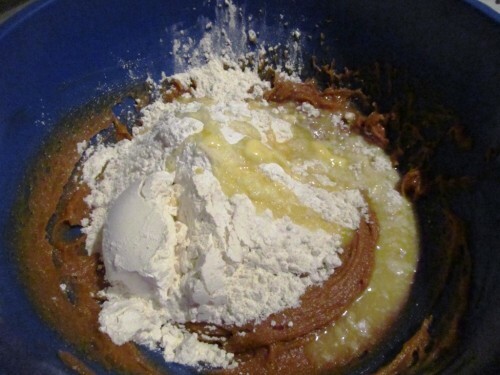 Mix in baking powder, salt, flour, and melted butter. 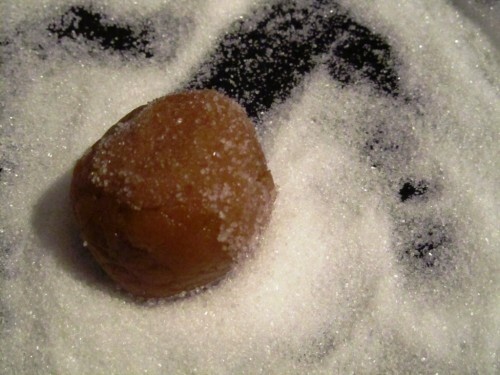 Form dough into 1-inch balls and roll into sugar. Place on an non-greased cookie sheet and bake 8 minutes. 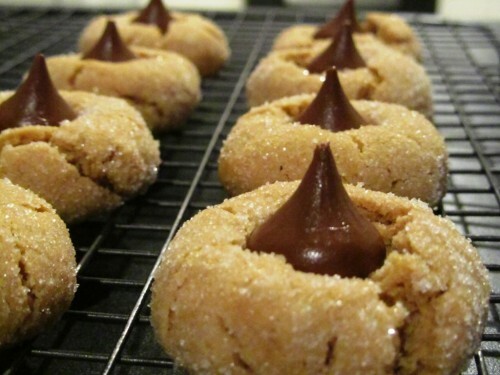 Once removed from oven, immediately press a Hershey's Kiss in center of each cookie ball. If you are a ‘joneser’ for peanut butter, add in a little extra, it won’t hurt! 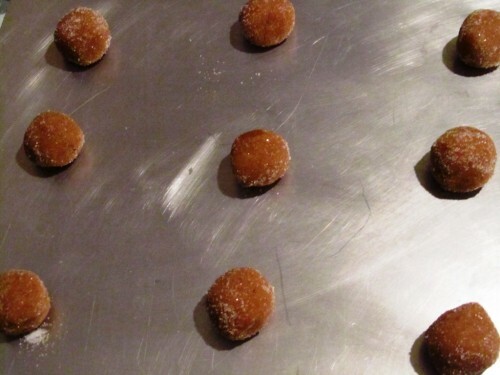 I rolled some cookies in sugar and left some out. It is really up to your preference. My DH doesn’t like any extra sugar if it doesn’t he to be there. So I left off the sugar in half the batch. 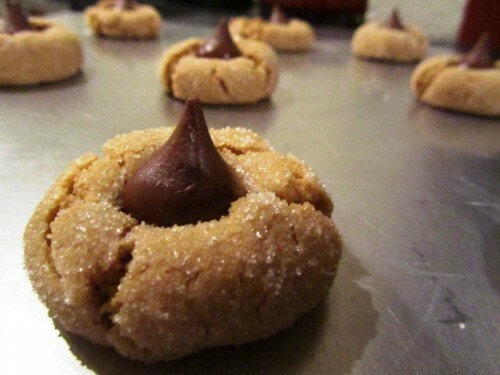 Immediately press the kiss in the cookie once out the oven. MMmmmhhh…you can literally smell the chocolate softening inside. Yum! Omg this recipe looked so good!!!!! i Cant wait to try it on my owN!!!!! They are so addicting Cindy! 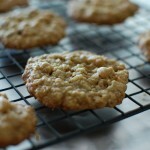 Just made these tonight, a little salty for my taste, but I love how chewy they are! I’ll set this recipe aside for the future! Can’t wait to see what texture they have in the morning! Yum! I am sorry they were a bit salty Alli but I am glad you liked the chewiness, that is the best part! 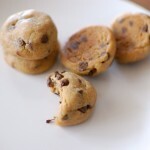 I just made these and the dough was crumbly and very greasy. I did get the into balls and onto the cookie sheet. But then when I put the kisses on, after baking, the dough crumbled into a gazillion pieces. I also agree that the dough is a bit salty, even for unsalted pb. Sorry the dough didn’t turn out for you Laura. I now just adjusted the salt to the recipe, thanks for you input! yum company coming this weekend think will make some for them!! a little night treat with tea! Yum, hope they turn out good! 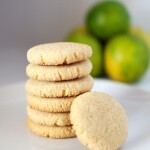 Cookies are simply perfect! I loved this recipe! THANK YOU a lot!!! Can we use something to replace peanut butter? You could use Nutella, almond butter, or any other thick nut butter you like. Let me know what you chose when you bake them up Vanessa! 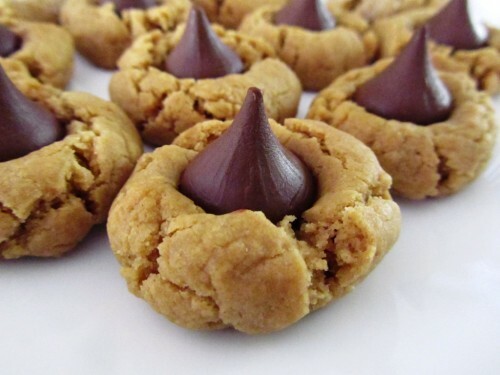 I did a batch but the kisses become so soft and melted slightly when they are inserted into “very hot – out of the oven” cookie. To retain the chocolate kisses shape as shown in your photos, do you just leave the chocolate to air dry after inserting onto cookie or bake for 2-3 mins more or put them in the refrigerator to cool a bit before keeping them in air tight containers? 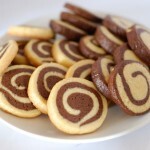 Kenosha, I just press them in the cookie once out of the oven and they have always remained their shape even though they soften. Try waiting a couple of minutes before putting the kiss in the cookie if they keep melting on you. Also, once inserted, I allow them to cool on a wire rack before storing them in an airtight container. 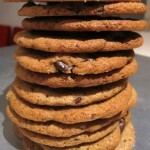 Most cookie recipes call for 1/2 or 1 cup butter. I was surprised to see this one only needs 2 TBSP. I’m looking forward to trying it. I love these cookies! I can’t wait to hear how they turn out for you! The dough seemed very dry and crumbled when I put the kiss on. I threw all my precious cookies away. I didn’t have shortening so I used this recipe. I am sorry to hear that Cheryl, could it have been the type of peanut butter you used? 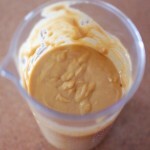 Sometimes using a natural or homemade peanut butter can cause less moisture in the dough.